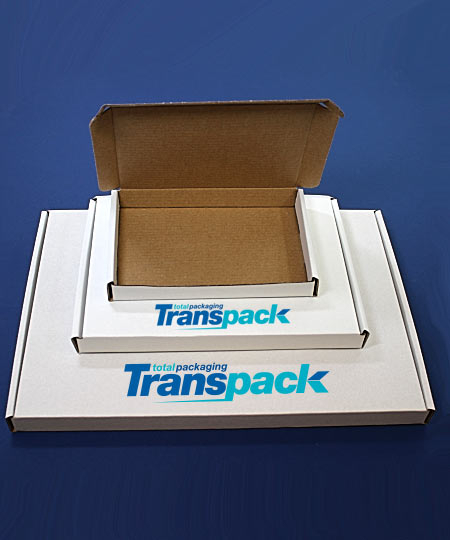 Using a PIP box to send your products will ensure your products arrive safely while minimising your postal costs. Each of our 3 sizes is designed to fit through the Royal Mails 25mm Large Letter slot. So if you have a light product which needs more protection than an envelope will offer, a PIP box might be the ideal solution. Having them printed will reinforce your brand image and give your customers confidence in your business. Below is a guide to the sizes we can print, with minimum order quantities. There will be printing plate costs on your first order, in addition to the cost of the boxes (this won't apply to subsequents re-orders). As a guide a one colour print will incur an approximate plate cost of £425.00 but is subject to sight of artwork. For any advice or to get a quote for your design on one of our PIP boxes, please contact us via the contact form, or call us on 02380 869999.